Our roads suffer a lot of traffic deaths, and Toronto is no exception. In 2015, 64 people were killed on Toronto’s roads, and the majority of these victims were the most vulnerable road users – cyclists and pedestrians. Motor vehicles may be designed exceptionally well to protect their occupants; however, they pose a substantial risk to anyone outside. Given the significant potential for harm associated with driving and the inequity in deaths, one would expect a high degree of responsibility and accountability to be placed on drivers. 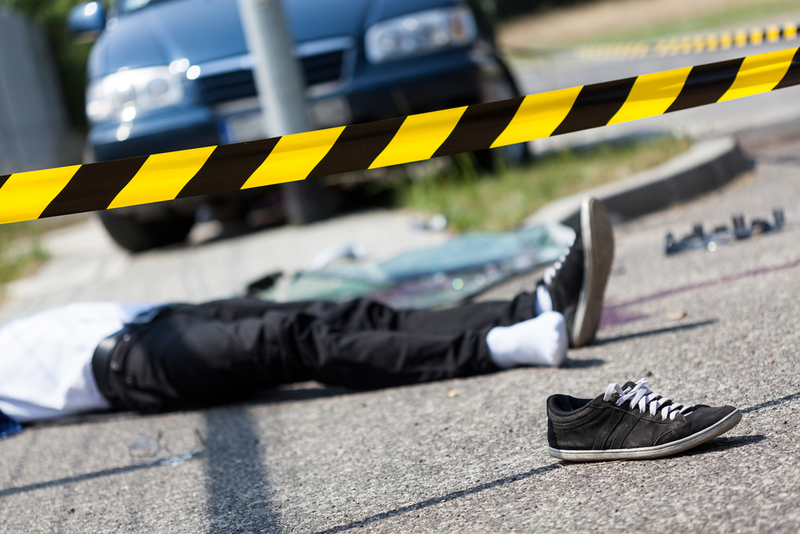 The unfortunate reality however is that driving is so pervasive in our culture that when a tragedy occurs on our streets, we as a society are often quick to protect the drivers, rather than the most vulnerable. Notice anything peculiar? Probably not, because this is the phrasing that is commonly used by the media when reporting road deaths. If you read carefully though, you’ll notice that the sentence doesn’t actually mention the driver of the vehicle. Technically speaking, a vehicle did strike and kill the 6-year-old boy, but the vehicle did not act on its own. That vehicle was operated by a human being – a driver – trusted with the responsibility of operating a 2,000-pound potentially-lethal machine in our public streets, which are ripe with hazards and vulnerable users. Was the driver at fault for the boy’s death? That doesn’t matter – the point is that the driver was operating the vehicle which caused the death, making them directly involved in the incident. Starting to notice a trend? When the media use passive language like “struck by a truck” to describe incidents, it effectively distances and protects drivers, all the while directly involving the victim. “Struck by a truck” suggests that the vehicle’s movement was incidental, and may even perpetuate the thought that the pedestrian wasn’t being careful enough. Imagine a man was, for whatever reason, in a hurry to carry a pair of scissors down a street, and in his rush accidentally stabbed and killed a woman. While we would consider the woman’s death to be a freak accident, it’s clear that it could have been prevented if the man had had focused a bit more on safety. Would the news headline then read “woman stabbed by scissors”, or would it read “woman stabbed by man running with scissors”? We need to differentiate between the object and the operator! Notice how this time, the headline doesn’t focus on the vehicle (the bicycle), but rather the operator (the cyclist)? The headline ties the cyclist to the death, and in doing so holds the cyclist directly accountable for the tragedy. Worded like this, I’m sure few readers would feel the need to wait for the police report to conclude that the cyclist was obviously to blame for the tragedy. Would we have been so quick to jump to this conclusion had the headline read “pedestrian struck by car”? Again, by using the phrase “hit by a cyclist” to describe these incidents, the article directly assigns accountability to the person operating the bicycle. Why is it that drivers manage to avoid immediate blame while it is readily handed out to cyclists? Could it be because our car-driving culture is too sensitive to bear that we drivers may be responsible for the lives of others? Was this cyclist so aloof that he wasn’t paying enough attention to notice an open door in his path? I’m doubtful. What likely happened is that a driver, forgetting to check their blind spot, opened the door to get out, straight into the path of the cyclist, sending him to the hospital with life-threatening injuries. Even without assuming any blame, isn’t it strange how the headline includes no mention of the driver who opened the door that may well cost this man his life? There isn’t even a driver mentioned in the body of the Toronto Star article, even though witnesses at the scene reported a driver was involved. This is just another example of the very subtle ways in which drivers avoid accountability. It’s not about equality, it’s about safety. Drivers have the potential to do the most harm, and as such they should be held to the highest level of accountability on our streets. When the media describes fatal road incidents using phrases like “killed by a truck”, “struck by a cyclist”, and “collision with a car door”, they are communicating very subtle biases that distance drivers from the event and may even infer the victim is to blame. These biases change the way we think about driving, creating the impression that these deaths are incidental and unavoidable. And when we as drivers forget that we have the ability to prevent most of these tragedies simply by driving more safely, we lose sense of accountability for our actions. Nobody wants to be the driver who kills a child with their SUV. By changing the way we talk about these incidents, by referring to the driver that hit the child and not the vehicle, we remind everyone of the immense responsibilities of driving and the consequences that arise when we abuse this privilege.